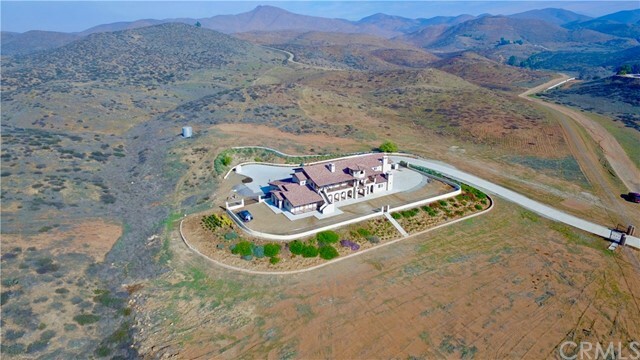 "Mediterranean Estate in Winchester, CA. 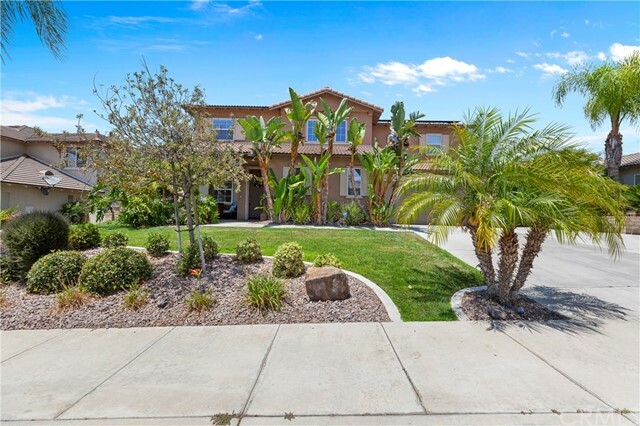 2014 Quality built home on 16.6 usable acres located within 10 miles to Wine Country, Temecula & Murrieta. Freeway close by yet secluded setting. Valley, hillside and sunset views. Property offers 2 separate 1 bedroom attached apartments with own outside entrance. INCOME OPPORTUNITY can be used to off-set mortgage payment. Ex: based on a $1,695,000 sales price and a 20% down payment. 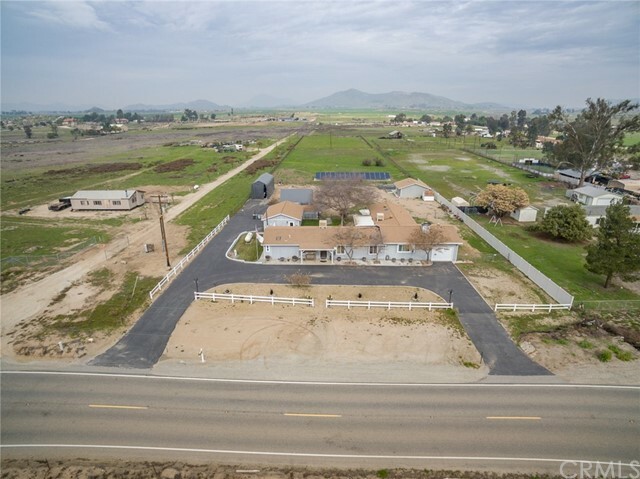 The estimated principle and interest payment would be $7094 so if you sub"
"5,721 Square Foot Single Story Steel Framed Custom Home on French Valley Agricultural Acreage with 360 Degree and 20 Mile Panoramic Views. Just use your imagination!! 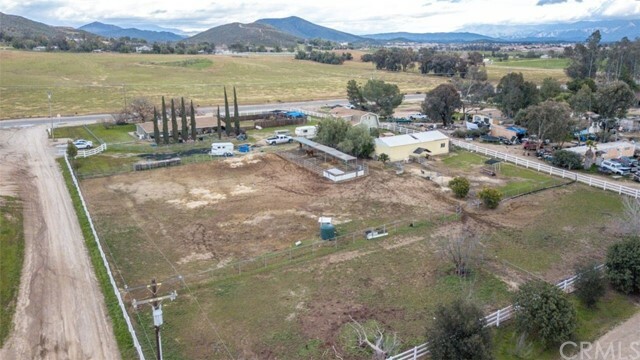 Could be an Equestrian Farm or a French Valley Winery. Surrounded on Two Sides (East and South) by the Lake Skinner Multi-Species Reserve. Secluded and Private Location on the Hill at the End of Judith Road. Huge Great Room: Perfect for Entertaining or a Wine Tasting Room. Master Bedroom: two large closets, Master Bath has Red Drag"
"Very hard to find 4.41 all usable parcel with custom built home and separate guest house. The main house is a single story home with a large bonus room upstairs. Can be a craft room or additional bedrooms. 2 car attached garage. 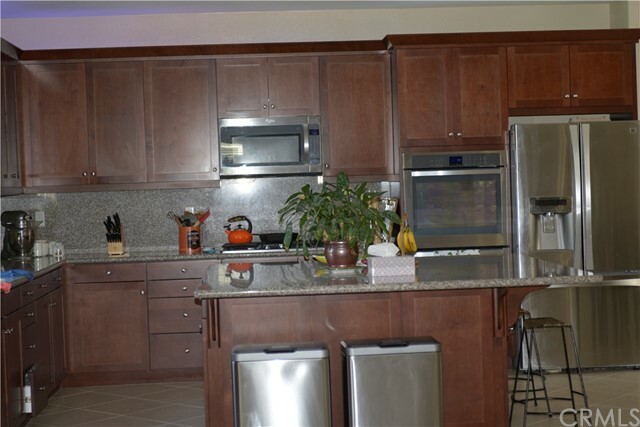 KITCHEN: Double ovens, electric range top, Jenn air appliances, granite countertops, Pantry, new faucet, breakfast bar. Seperate laundry room with sink, and built in Iron board, Master bedroom has sliders to the rear fenced yard- walk in closet Master bath- equipped with"
"PRIDE OF OWNERSHIP SHINES THROUGHOUT THIS BEAUTIFUL, SPACIOUS SINGLE STORY HOME ON ALMOST ONE ACRE! 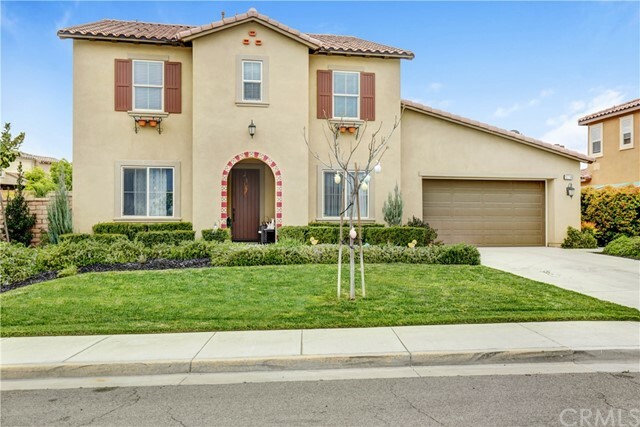 Located in a park-like setting on one of the most sought after streets in Temecula Valley! 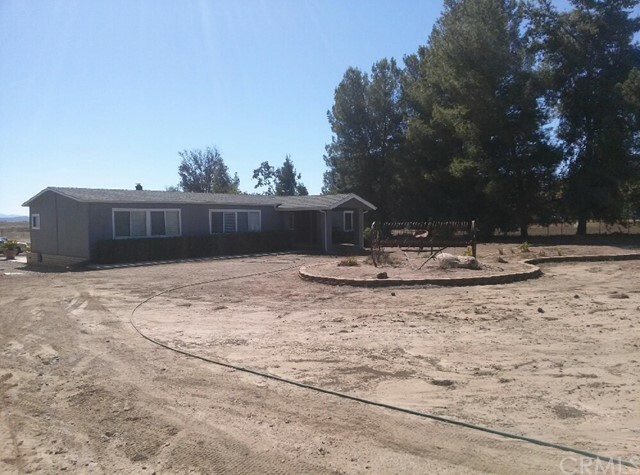 Features a manicured, 100% useable lot & zoned for horses. This exceptionally maintained home (one owner) offers a spacious 2324 sq. ft.-4 BD, 2.5 BA w/newer paint, vaulted ceilings, custom light fixtures & window coverings, ceiling fans, recessed lighting & tile floors. Offers large formal dining area w/wet"
"One of a kind custom built HORSE PROPERTY on sprawling 5 acres in Winchester is finally available! This updated home features an open concept and high ceilings with 6exterior walls for energy efficiency and copper plumbing throughout. Walk into the living room with rustic cabin like finishes- natural wood paneling, river rock accented grand fireplace and hardwood floors. A perfect room to host company or relax after a long day. 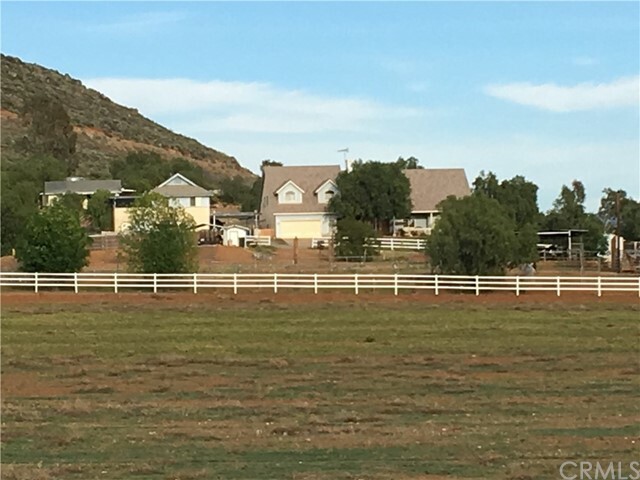 Kitchen is updated with granite counters, backsplash, and beautiful "
"Located on 2.5 acres of sprawling land, this 6 bedroom, 4 bath 3,020 sqft ranch style home encompasses all of the convenient amenities you could ask for. 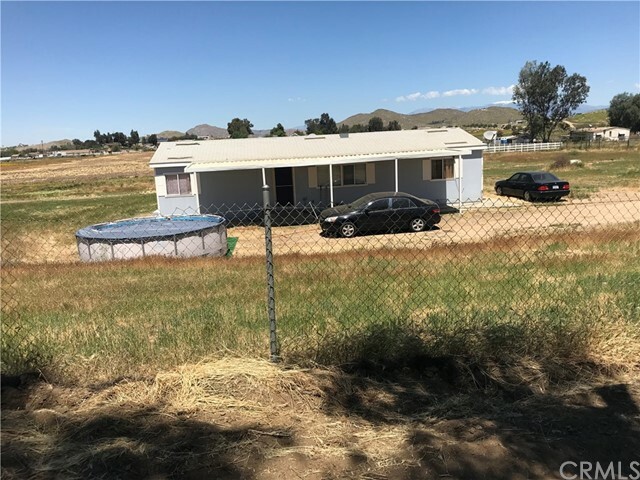 The fully fenced home features two wells with a boosted pump & two septic tanks, two detached garages (all with electrical panels), two tankless water heaters, 2 large canvas sheds (one covers the sellers RV) and a $120,000 solar system WHICH IS FULLY PAID OFF! Inside, the uniquely designed open kitchen features an abundant amount of storage sp"
"LET THE SUMMER BEGIN WITH THIS BEAUTIFUL 4 BEDROOM/LOFT POOL HOME WITH SOLAR THAT IS PAID OFF and RV PARKING! This Home is perfect for a Homeowner who loves to Entertain. The Backyard has a Pool/Spa with Waterfall. The Pool is equipped with an Auto Fill System, Reverse Osmosis Water and LED Lighting. The Covered Patio is wired for TV, has a Gas Fire Pit and a BBQ with Gas and Electric provided to the area. At the top of the Yard there is a Flat Area that provides a Beautiful View for those warm "
"Welcome Home! Corte San Felipe is an entertainer's delight in the heart of Winchester. This stunning 5 bedroom, 4 bathroom pool home is truly turn-key! As you open the entry gate you are greeted by a courtyard complete with a welcoming fireplace. The kitchen is a true focal point of the home with a bounty of cabinetry, a generous walk-in pantry, butlers area and beautiful granite countertops will surely be a topic of conversation. 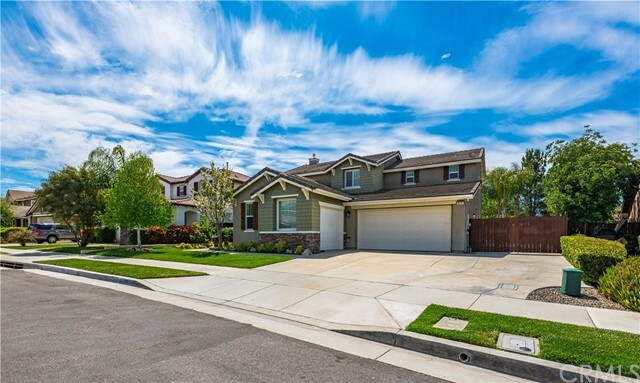 Throughout the home you will enjoy a bounty of natural lighting t"
"This beautiful, large home is in the growing City of Winchester, located near the new Clinton Keith Thruway for easy access to the 215 Freeway! Features of this home include custom paint throughout, new carpet throughout, new appliances, bedroom and full bathroom downstairs for guests or in-laws, separate family and living rooms and an over-sized bonus room upstairs, master bedroom deck, homework station, and many more with upgrades! The back yard is complete with covered patio, pool, spa and fi"
"Welcome home to 31247 Pinon Pine Circle, a breathtaking 3,258 sq. 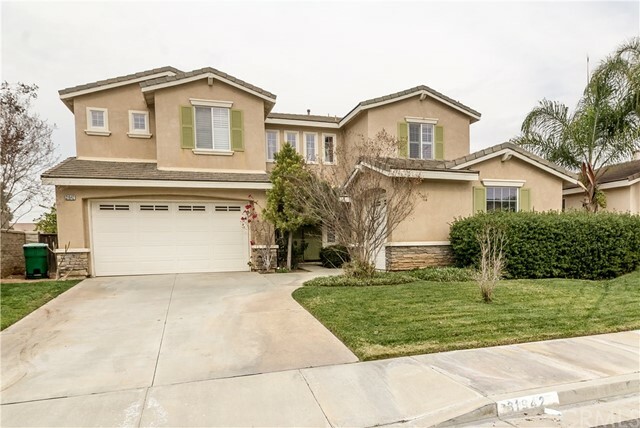 ft home situated on nearly a 1/4 acre lot in a quiet cul-de-sac located in the Sweet Water Ranch Community. Home boasts 5 spacious bedrooms, 3 bathrooms & 3 car tandem garage w/slat-wall shop area, industrial epoxy flooring & OWNED Solar. Pride of ownership is felt the moment you walk in the door w/upgraded wood grain tile flooring throughout the main level & pet-grade stain master carpet upstairs. Downstairs is bedroom & bathroom"
"Absolutely stunning home! 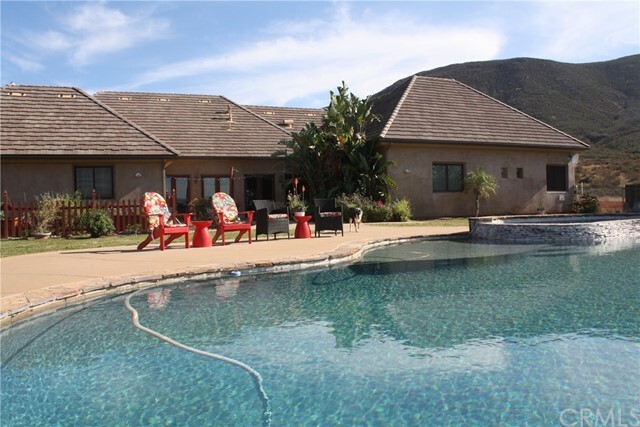 This property has been highly upgraded to add to your living and entertaining enjoyment. Neutral colors throughout. Open kitchen with large center island is open to the family room which opens to the back yard via LaCantina bi-fold glass doors which open all the way back to create and indoor/outdoor living space that is covered to protect your furniture for year-round enjoyment and includes a gas fireplace. 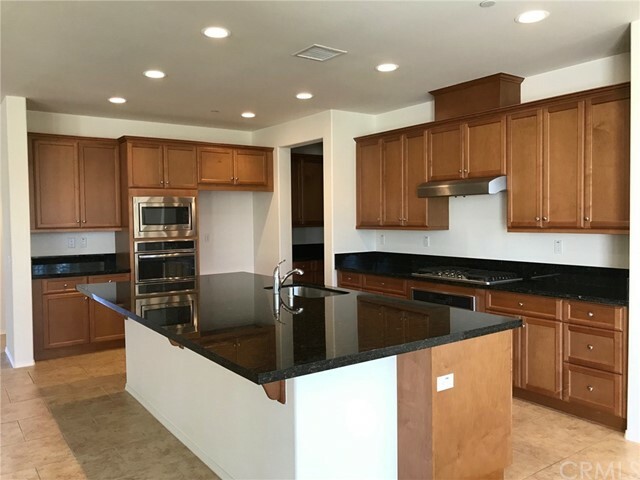 Kitchen has double ovens and custom lighting fixtures to add be"
"Energy efficient construction elegant finishes and modern floor plan 2 years new home in award wining Temecula Valley Unified School District. This executive house has 5 bedrooms and 4.5 bath, the 9 feet high ceilings in both floors and windows make this house airy and bright. 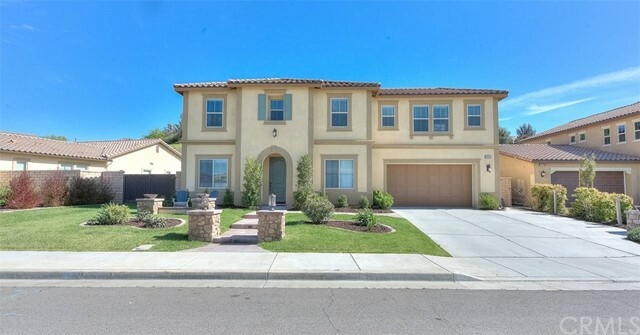 Close to Temecula old town, wine county, Pechanga and Pala casinos for trendy entertainment and lifestyle. 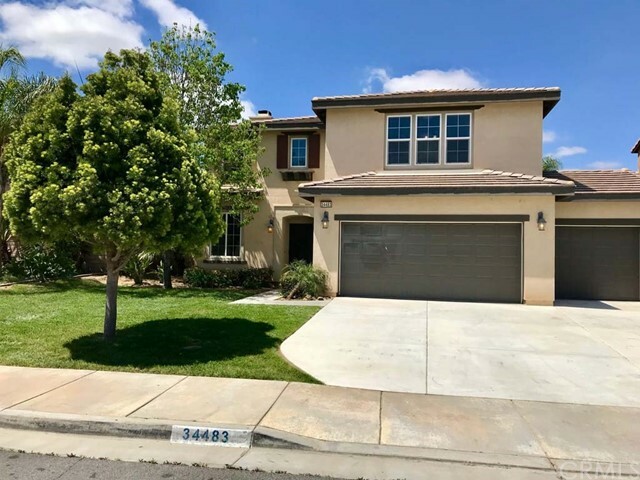 On the ground floor 1 Bed room with on suite bathroom, A gourmet chef's dream kitchen with 10 ft long granite kitch"
"Welcome to Adeline's Farm, the best of both worlds with Winchester pricing and Temecula Schools!!! This gorgeous pool home shows true price of ownership and features AMAZING 75 ft OF RV PARKING SPACE in addition to the beautiful Salt Water Pebble Tech Pool with Spa and a New Variable Speed Energy Saving Pump, Easily Removable Child Safety Pool Fence. Neutral tile flows throughout all the main traffic areas. 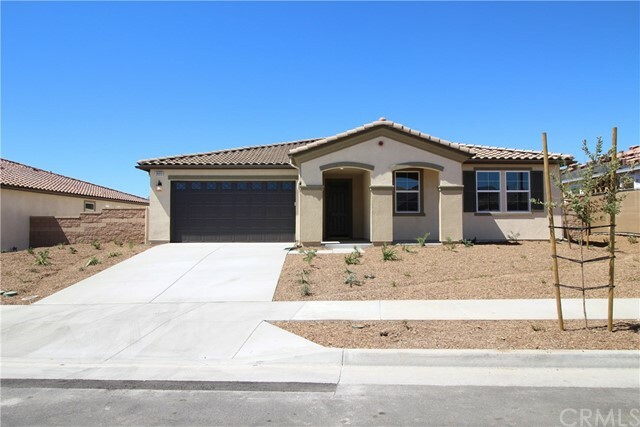 The floor plan is open and is laid out in a great room style fashion eliminating formal l"
"BRAND new construction and has never been lived in offering a Spanish Style model offering 4 bedrooms and 2 baths with approximately 2,913 Sq.Ft. 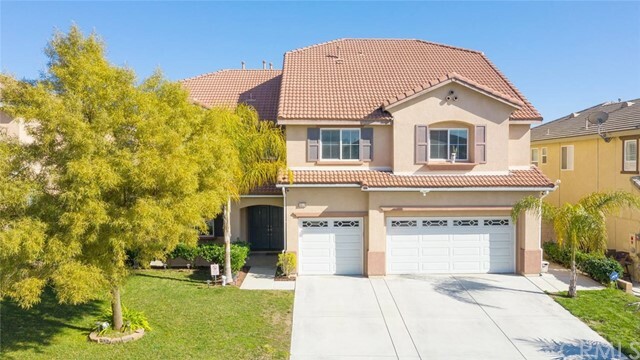 As you walk in to this amazing and gorgeous home you will find an office/den with a half bath, open formal dining room, Great Room with adjacent dining room and gourmet kitchen is an ideal space for entertaining. 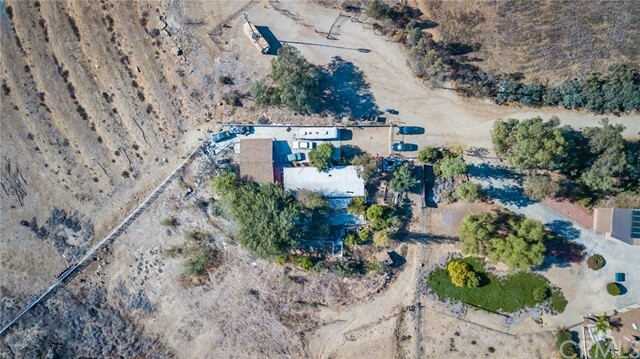 The kitchen provides a walk-in pantry, stainless steel appliances, quartz countertops, custom backsplash and substantial cabinet spa"
"Approximately 2.5 acres, two additional buildings on property. 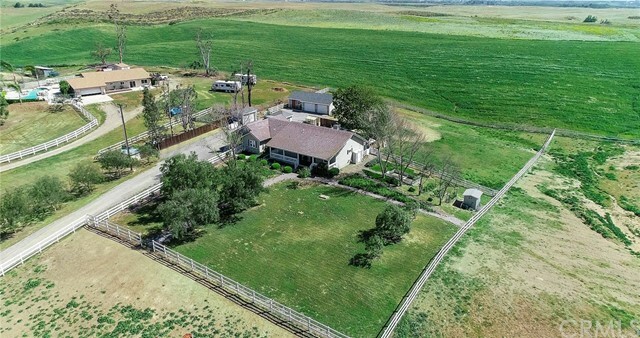 Sweeping views, 3 bedroom 2 bath with outdoor living deck plus Dutch Barn permitted as a garage, approximately 1,700 square feet, possible conversion framed with 2 bedrooms, 1 bath, kitchen, living area and a 2 care garage, with plumbing and electric, buyer to complete due-diligence. Workshop is approximately 800 SF, steel building. Set up for horses, 4- 1 stall paddocks. 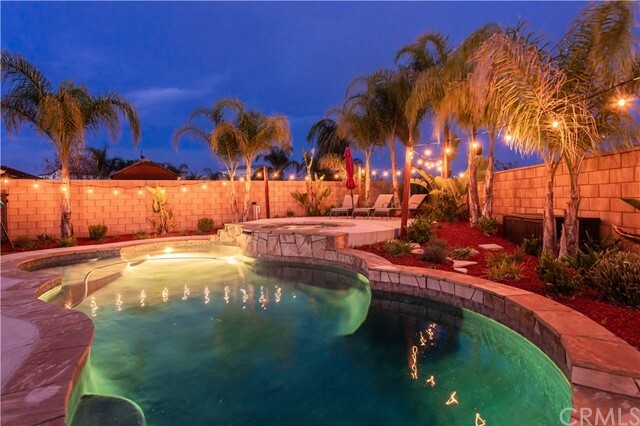 Perfect Vacation Resort Rental... Minutes from Temecula Wine C"
"Entertainers Dream! Stunning views from your backyard which includes a pebble tech pool, spa and water feature. This backyard includes a Gazebo, firepit and BBQ area with sink, fridge,2 gas burners and grill. The home is over 3200 square feet with 5 bedrooms and 3 full bathrooms and a powder room for guest downstairs. Open Kitchen with Granite counters, Island and nook area. Large family room with glass rock fireplace and real wood plank flooring. Formal living room and dining room all with vaul"
"Beautiful Morningstar ranch home! 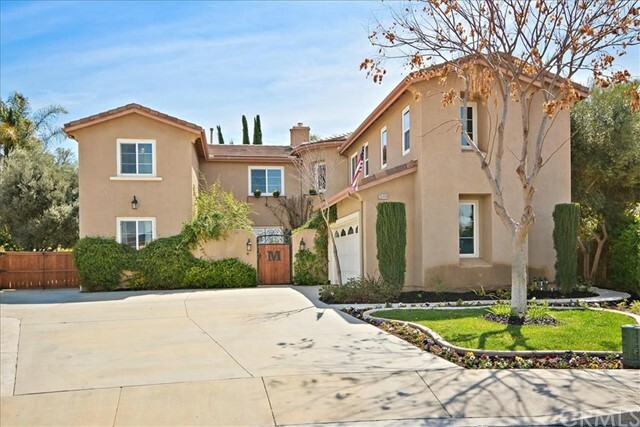 Five bedrooms, four baths (one bedroom downstairs) located on a good size corner lot. This wonderful home features a big covered front porch, just perfect for a morning cup of coffee as the neighborhood wakes up. 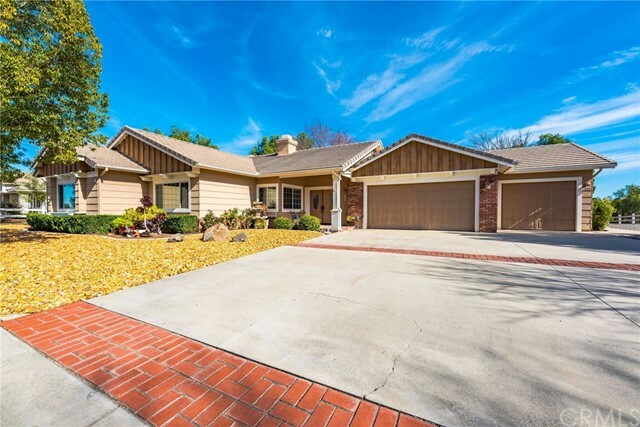 Upon entry you will note the soaring ceilings and windows with natural light poring in. The flooring is a gorgeous wood flowing from the entry into the family room. The family room really has room for all and it is open to the kitchen with a center isla"
"**NEW REDUCED PRICE*** Home Of Your Dream Is Finally Here. Stop Looking Around, Very Few Beautiful Homes Like This Have Been Listed For Sale, Now Is Your Chance To Own One. This Gorgeous 3 Story Home is Located In Kona Road Development Was Built With Distinctive Design By Noted Developer, John Laing Homes. 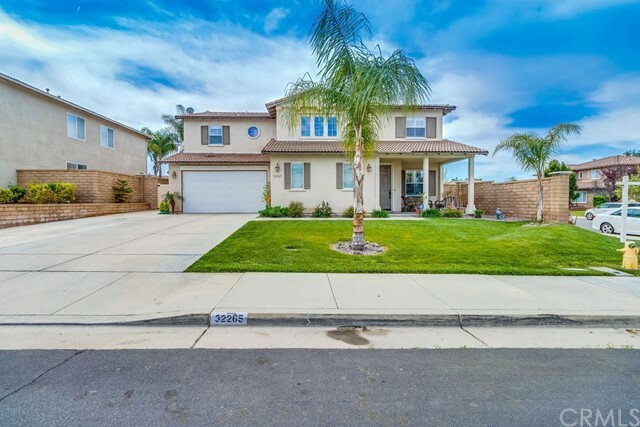 Home Features 5 Large Size Bedrooms, 3 Full Baths, And 2 Half Baths. One Bedroom And Full Bath Conveniently Located Downstairs. 4,529 Sqft, 7,405 Lot Size, 3 Car Attached Garage, Large Loft, B"
"Honey stop the RV! !Yes this home has 45 FT RV Parking. 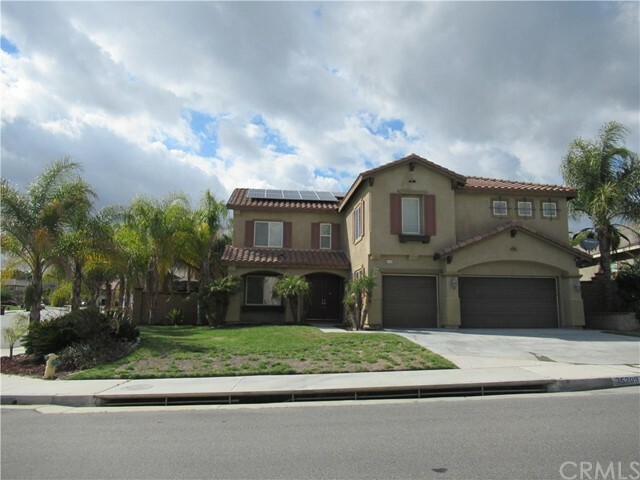 Verde Mare is turnkey and ready for your family to movie in.This spacious 5 bedroom 4 1/2 bath is waiting for you. (Tax roll is incorrect). Enjoy the wonderful front porch enjoy your morning coffee.It has a beautiful custom screen door leading to the entry way. The casita or 5th bedroom or office also located at front of house, with its own entrance, bath, walk in closet. murphy bed & own heating & cooling system.. Beyond the entrance is the"
"Welcome to your beautiful pool with sheer decent waterfalls, and adjoining spa home! 3 car garage, new carpet, new paint, desirable downstairs bedroom with additional private living space and full bath just off the courtyard with its own private entrance are just some of the main features. Over $70,000 has gone into the rear landscape upgrades to include pool, spa, deck space for your backyard bar-b-que's or to use as you wish, large alumiwood overhang, stamped concrete, exterior ceiling fans an"